I am thrilled to be one of Luxe Magazine's Hamptons 50. On newstands now, the game room I designed for my home in Montauk, NY is part of a lovely feature on how we disconnect "Out East." 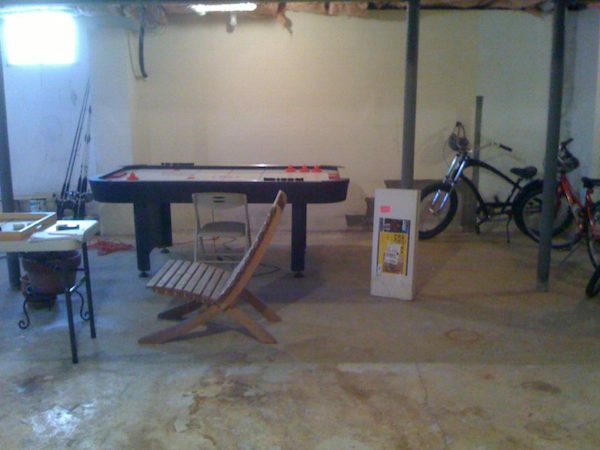 I created the game room from a completely raw unfinished basement to give my three boys their own domain. Check out the before. It's the same angle as the pool table shot. The game room is divided into three zones, all well used. The pool table is located in the center, with adjacent areas dedicated to movie watching and game playing. 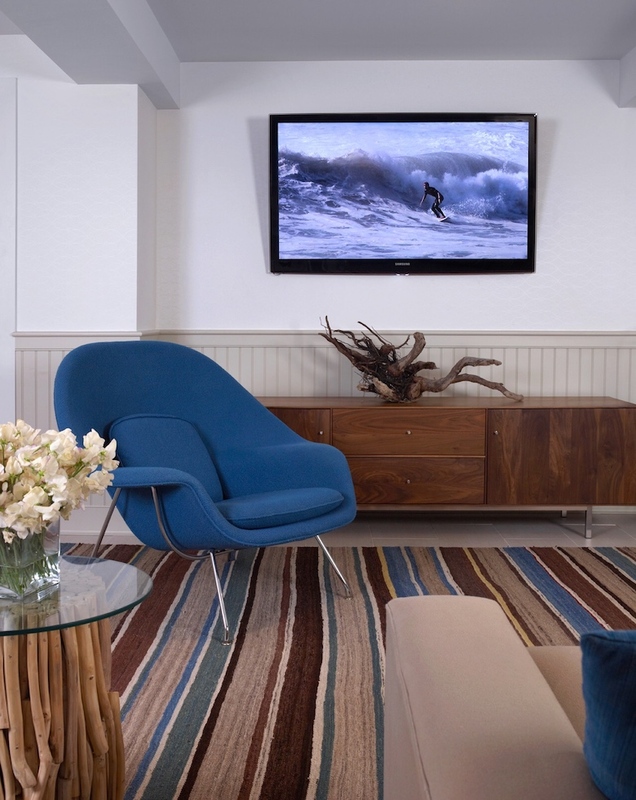 A game room in Montauk NY (part of the Hamptons) created from a basement renovation designed by Lynn Byrne of Decor Arts Now. We also tucked in a daybed for overflow guests, but hilariously my oldest son claimed it immediately as his sleep space. Yup, my kid sleeps in the basement by choice! The egress window to the right of the bookcase in the first photo ushers in plenty of light. Many thanks to architect Paul Osmolskis for helping with that, and for moving all the necessary mechanicals. 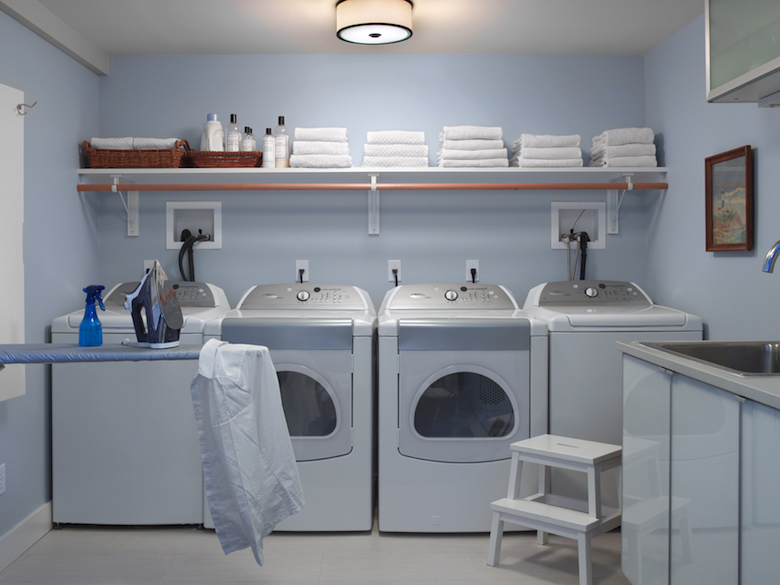 In a darker area of the basement, I created a hardworking laundry and utility room. 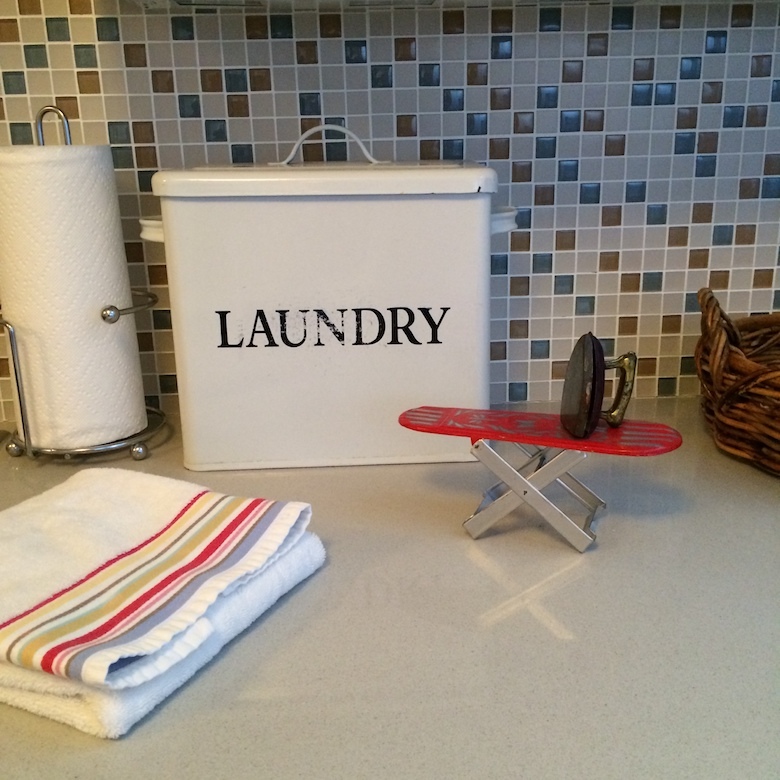 I host plenty of summer guests in Montauk, so the double washers and dryers are exceedingly handy. I also included an extra sink, cabinet and refrigerator to handle overflow storage and prep. Many thanks to Jennifer Smith for including me in the article. I also want to thank Ellen McDermott for her lovely photographs and Anthony Santelli for styling my stuff, making everything look photoshoot pristine.